The Irish Veterinary Nurses Association (IVNA) is proud to present our 10th Annual Congress, which will be held in The Grand Hotel, Malahide, on May 24-26. The committee has extended the programme to facilitate a three-day event. There will be a host of noted speakers attending from home and abroad and the ambitious programme includes six streams, with practical elements taking place on Friday and Sunday. We have also extended our trade exhibition, which will begin on Friday afternoon and extend to Saturday evening and we can’t wait for this fun-filled, competition packed trade show. Following our Friday streams, we will host an opening ceremony where our delegates and exhibitors are invited to join us in celebrating our 10th Congress Anniversary with a drinks reception. On Friday, May 24, we have three streams running consecutively: Emergency and Critical Care; Surgery and Physiotherapy; and Parasitology and Dermatology. Our Emergency and Critical Care stream will focus on common emergency presentations, triage and treatments for conditions such as: respiratory disease; gastric dilatation volvulu (GDV); renal tubular acidosis (RTA); seizures; toxins and urinary obstructions. This stream also focuses on cardiopulmonary resuscitation (CPR), how to recognise CPA and implementation of life support algorithms for successful outcomes using correct techniques and drug therapies. The nurse’s role in patient care following CPR will also be addressed and later supported by a practical CPR session. The Parasitology and Dermatology stream has been updated to focus on a poignantly relevant, though often overlooked, parasite of critical importance to the occupational health of veterinary nurses and wellbeing of our patients. Ticks, tick borne diseases and associated zoonoses will be explored during the first two lectures, from both a veterinary and a human perspective. While linking the ectoparasite theme to nutrition for patients suffering from dermatology conditions, delegates will gain further knowledge in the structure and functions of the skin and clinical symptoms associated with dermatological diseases. They will be brought up to date with the latest statistics of skin diseases affecting dogs and cats, they will be able to differentiate between fact and popular opinion regarding food allergies and will gain insight into how nutrition can help support patients with skin diseases. The educational part of the day will conclude with an acaricide workshop, evaluating some of the popular tick treatments licensed in Ireland for small animals. The Surgery and Physiotherapy stream focuses on the stifle patient and common pathology associated with the stifle. From biomechanics and diagnostics, the delegates will then review surgical management and treatment options, the latest in-patient preparation and implants through to post-operative care and recovery. With the veterinary nurse playing a huge part in patient care and recovery, we have a topical presentation lined up which focuses on post-operative pain management. This presentation will cover the mechanism of pain recognition and pain scoring, preventative analgesia and pharmacological management of post-operative pain, analgesic adjuncts through to understanding the patients’ needs and developing pain management strategies. Moving to the physiotherapy portion of the stream we discuss everyday applications of physiotherapy in practice. We begin to build on this by understanding the anatomy and physiology as it relates to physiotherapy and conditions and injuries that may benefit from physiotherapy. Delegates will learn the uses and contraindications of techniques and therapies which can be utilised by veterinary nurses in practice such as electro-muscular stimulation, manual therapies, thermotherapies, gait analysis and exercise prescription. Following the presentation delegates will get a practical session on how to apply their knowledge gained and review case studies. On Saturday, May 25, we switch to a day of lectures and bring our delegates on a journey of managing the seizing patient. This will begin with the initial presentation, triage, risk assessment and first aid treatment of the neurological and seizing dog or cat. We will look at neurological examinations, differential diagnosis and associated investigations for the patient work up. Moving onto pain management and anaesthesia for these high-risk patients, we consider seizure medications and underlying diseases; pre-operative actions, such as ensuring seizure meds given; handling/restraint of seizure patients; pre-oxygenation; minimising stress in pre-operative period; emergency drugs and charts to have on standby. We look at what drug choices are available for sedation, premedication, analgesia, induction and maintenance of anaesthesia in these cases. We will also discuss monitoring and the parameters to be mindful of in the seizure patient, including SpO2, ETCO2, blood pressure, temperature, electrocardiography (ECG), heart rate, and resting rate, and their post general anaesthesia recovery considerations, which will all conclude with case study discussions. The IVNA will also hold its AGM as part of the Saturday schedule, where all members are invited to attend for a review of the association business and to participate in discussion regarding the future of the veterinary nursing profession and the role of the IVNA. During the Saturday stream we have factored in a very important presentation for our profession in the area of self-care in the often stressful environment of veterinary practice specifically for nurses. Self-care is essential if we are to give our best to our colleagues and to our patients. This lecture explores the importance of self-care, wellbeing and stress solutions with practical tips and strategies as well providing valuable insights into human behaviour and associated psychology. Our Saturday stream will conclude with therapy for specific conditions for the seizing patient and the monitoring and assessment of seizure therapy. Following our Saturday programme, we will host the Annual IVNA Awards with the return of a Gala dinner. This award is given to a veterinary nurse, student veterinary nurse and practice manager who have gone above and beyond the call of duty for their patients, their clients and the practice team. We have received great nominations by colleagues, employers and clients over the years and it is always a hard task for judges to choose winners in these categories. We recognise the hard work of the veterinary profession and we ask that everyone stops and thinks about those they work with and how their working days are made easier, lighter and happier by a colleague or student who goes the extra mile for their team and patients alike. If you have someone in mind, then please log on to www.ivna.ie/awards and submit your winners’ nomination and why they deserve such an award. A fantastic prize of up to €500 is up for grabs and the person who nominates a winner will also win a prize of €50. Our awards are sponsored by our 2019 partners, Royal Canin, Allianz and Bayer. We would also like to thank all our sponsors for their ongoing support and participation in our annual events. After our Gala dinner and awards, we have a Casino night lined up with roulette tables, blackjack and more before we get ready for our DJ and a night of dancing. Those who have registered for the full three-day event have an IVNA party pass included. On Sunday morning, May 26, we have scheduled a yoga session for those who wish to reenergise the body and mind before the Sunday streams kick off. Our final two streams include exotics and dentistry. Our popular exotics stream will give delegates an understanding of reptile/amphibian anatomy and physiology, species-specific husbandry and importance of correct lighting, heating, humidity, and self-regulation of ectotherms. It will also feature health and wellness in captivity with an emphasis on accommodation and nutrition of reptiles in the vet practice and the importance of habitat design and the concept of bioactivity and enrichment. Our practical sessions will focus on methods of restraint, handling, and assist-feeding for reptiles under treatment providing essential resources and references for husbandry and trouble-shooting. The dentistry stream will begin with anatomy, physiology of the head, skull and peridontium followed by a discussion on common dental and oral conditions, treatments and nursing considerations. This leads delegates into pain management of the dental, oral and maxillofacial patients followed by practical sessions on dental radiography, probing, charting polishing and descaling. 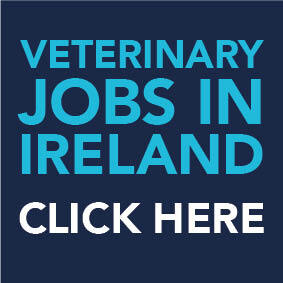 We have received a great response so far from the veterinary community and our registrations are filling up. Our Emergency and Critical Care stream is now completely booked out with the others catching up quickly. So, don’t delay in reserving a place and avail of our very low early bird rates.